The website for the Ministry Of Earth Sciences is basically a hub for the sector of weather forecasting and R&D for the Arctic/Antarctic Southern Ocean. Starting off there is a section for tenders of diverse nature as well as advertisements. The site is also showing the current news feed of the latest events. Recruitment is a separate portion duly arranged for applicants where the forms can be downloaded with ease and comfort. The other sections pertain to the knowledge upon which this department was established. The downloading of various forms are also available in another section where certain guidelines can also be downloaded causing popularity. The site is currently advertising its seat for a new Director for research. The information on the different products designed for Ocean and Atmospheric Science are also provided along with the awards and achievements gained by the department which depict their enthusiastic approach for a safe environment and to spread the word in refreshing the ecosystem. 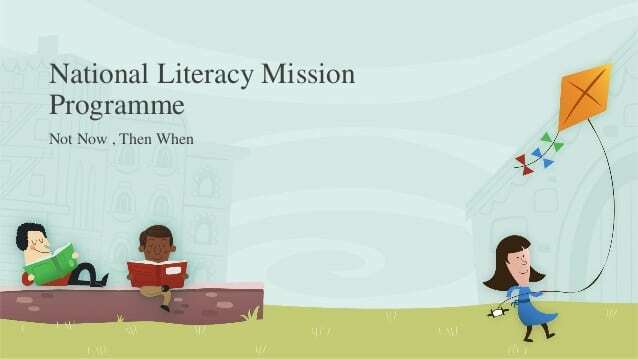 What is the National Literacy Mission Programme?